If you’re driving south from Lake Tahoe on US-395, you can’t miss the tiny village of Independence because the road leads through the center of town. Even though the population of Independence was only 669 in the 2010 census, it’s been the official seat of Inyo County since 1886 after its primary competitor, the Kearsarge mining camp, disappeared under an avalanche of snow. Located about 25 miles north of Mt. Whitney at an elevation of 3930 feet (1198 m), Independence is also where many hiking adventures begin in California’s Sierra Nevada mountain range. Leading west from Independence, Onion Valley Road is one of the main entry routes into the John Muir Wilderness area through which hikers can reach the Sequoia and Kings Canyon national parks. This road climbs up 5,000 feet into Onion Valley where hikers can find the Onion Valley Trailhead near the Onion Valley Campground, which has a parking lot. This trail ascends even higher into the mountains until it reaches Gilbert Lake. It’s one of the most popular trails in this region because of the spectacular scenery. 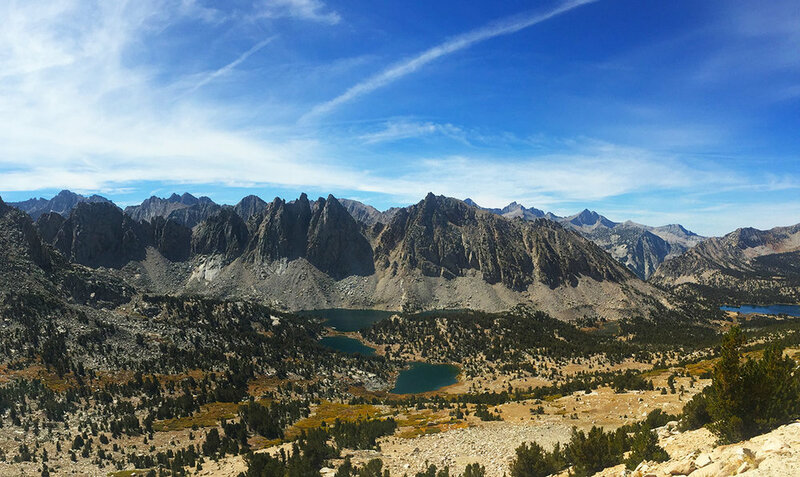 One of the most famous trails in America, the John Muir Trail, leads hikers through this region and its 210-mile section between the Kearsarge Pass and Bishop Pass Trails is equally spectacular. Another famous trail, the Pacific Crest Trail that leads 2,650 miles from Canada to Mexico passes though similar kinds of beautiful scenery within 7 miles of Independence. 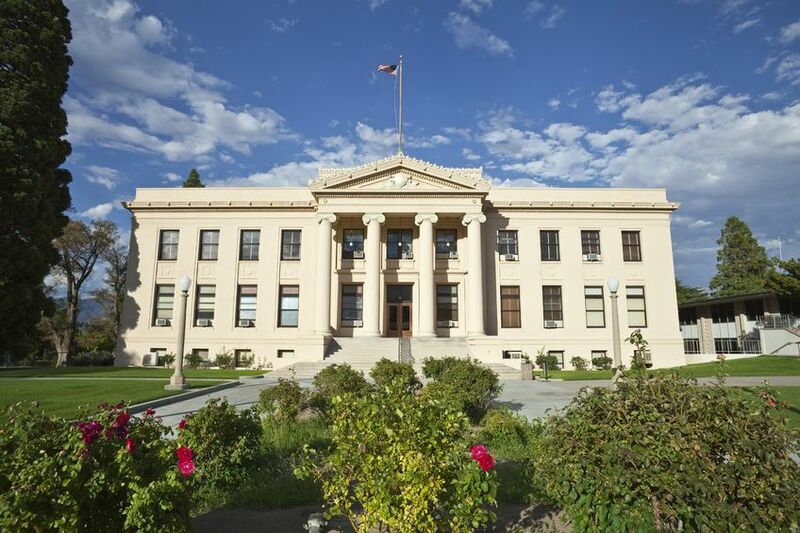 Founded in 1928 and operated by the County of Inyo since 1968, the Eastern California Museum at 155 North Grant Street in Independence contains exhibits and extensive collections of artifacts related to the history of Inyo County, and about 27,000 historic photographs of the area. The museum grounds also contain the Mary DeDecker Native Plant Garden, the historic Commander’s House and the Edwards House. Other interesting places to visit include the Manzanar National Historic Site, which honors the Japanese Americans who were confined in internment camps during World War II and the nearby Fort Independence Reservation for the native Paiute and Shoshone Indians. If you enjoy vacationing in a rustic cabin, one of the unique hotels in Independence is Mt. Williamson Motel and Base Camp with its uninterrupted views of the Sierra Nevada mountain range. The camp also provides supplies and logistical support for hikers and backpackers. Built during the 1920’s, the Winnedumah Hotel is a cozy bed and breakfast inn that offers competitive room rates. While you’re in Independence, be sure to visit the Still Life Café at 135 S. Edwards Street. This bright and artistic French style bistro serves creative cuisine that’s highly recommended. Rusty, antique farm equipment bakes in the Independence sun and squeak in the Eastside winds. The old tractors and plows sit in the front yard of the Eastern California Museum. The exhibits start before opening the door. Manzanar National Historic Site is about halfway between Independence and Lone Pine just off Highway 395 and it commemorates the Japanese/Americans who were incarcerated in American concentration camps during World War ll. Established in 1940, Kings Canyon National Park encompasses 461,901 acres of mountains and lushly forested land that’s accessible by car from Fresno via U.S. Highway 180 heading west. On the eastern side the closest large town is Independence just off Highway 395 and there are many hiking trails leading into the park from that direction. For a small town, this health food store/café/farmers market, the Owens Valley Growers Cooperative can hold its own with any urban store and the views are better. The French have staked claim to a tiny spot in the heart of Independence all in the name of food.